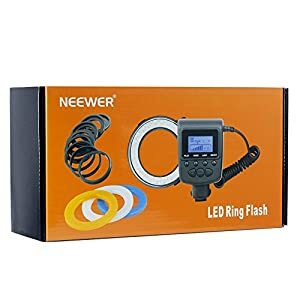 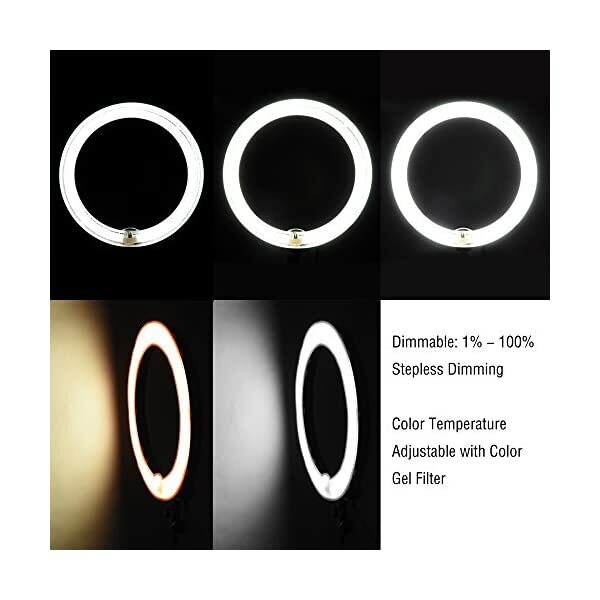 18” Ring Light: 18” Diameter Round Fluorescent Light, 75W Power (Equivalent to 600W incandescent lamp), Dimmable (1% – 100% brightness adjustable), 5500K Color Temperature. 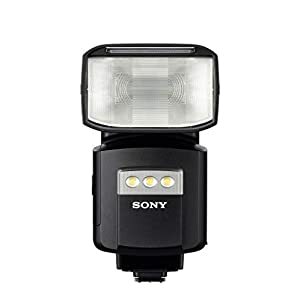 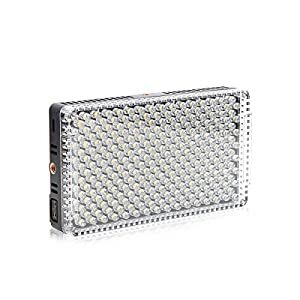 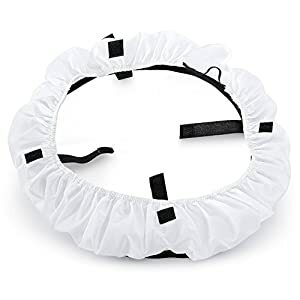 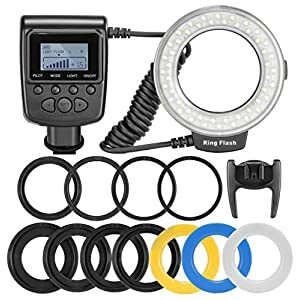 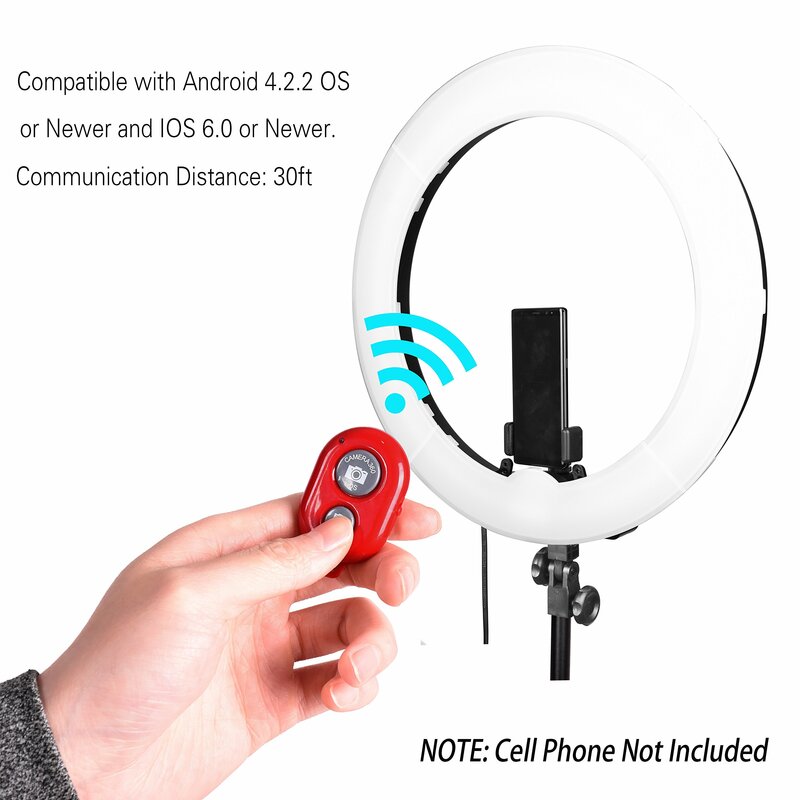 Come with a carry bag, protects the ring light when not in use and easy to transport. 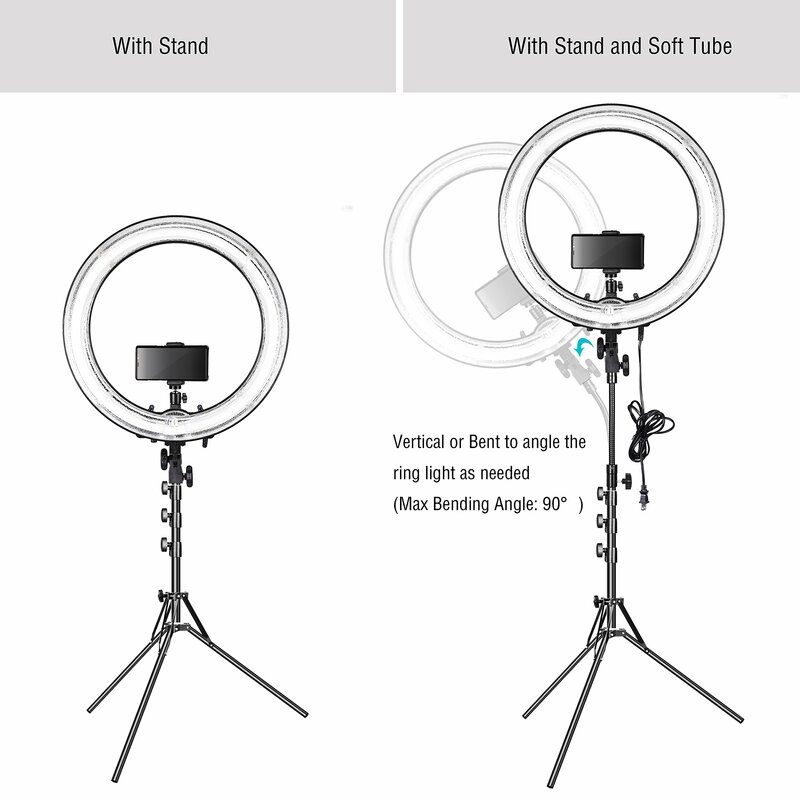 Make Soft Tube vertical or bent to angle the light as needed. 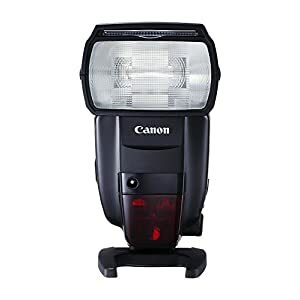 mitigate some of the harshness and produce a nice even light. 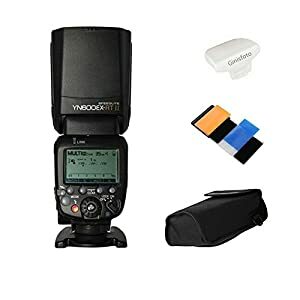 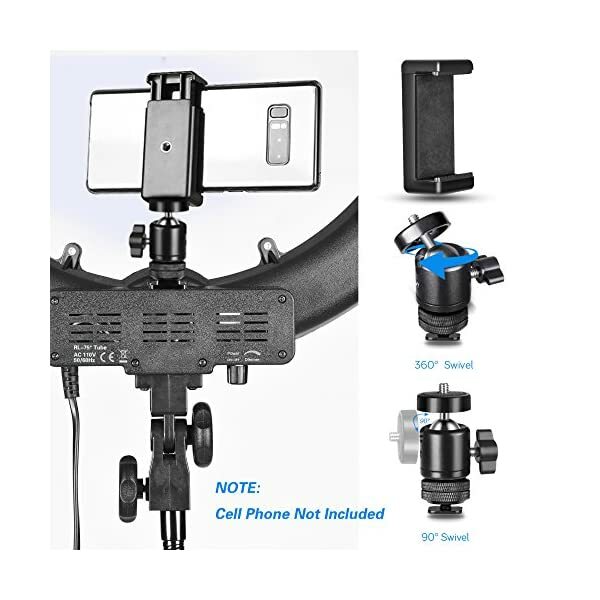 With 1/4” screw for mounting camera or other accessories. 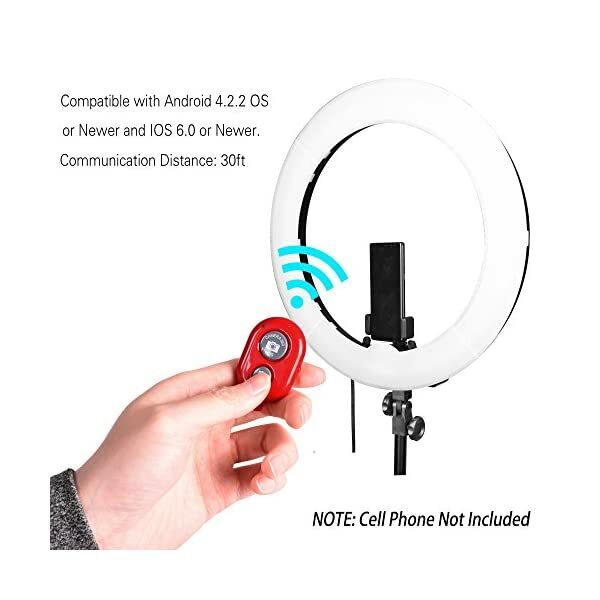 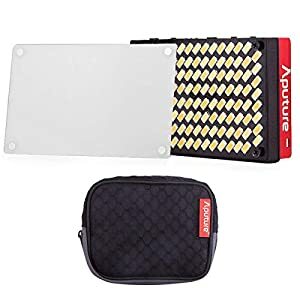 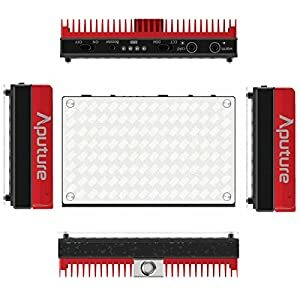 Compatible with iPhone8 plus/8/SE, Samsung Galaxy Note 8/S8+/S8 and other smart phones. 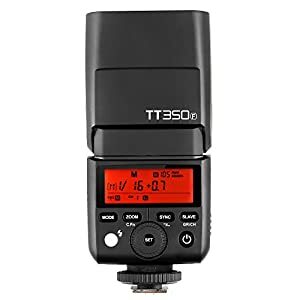 Battery Life: CR2032×1 Cell / about 6 months under working in 10 times a day. 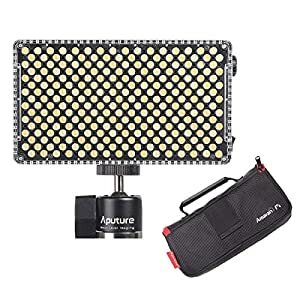 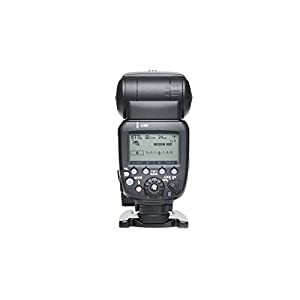 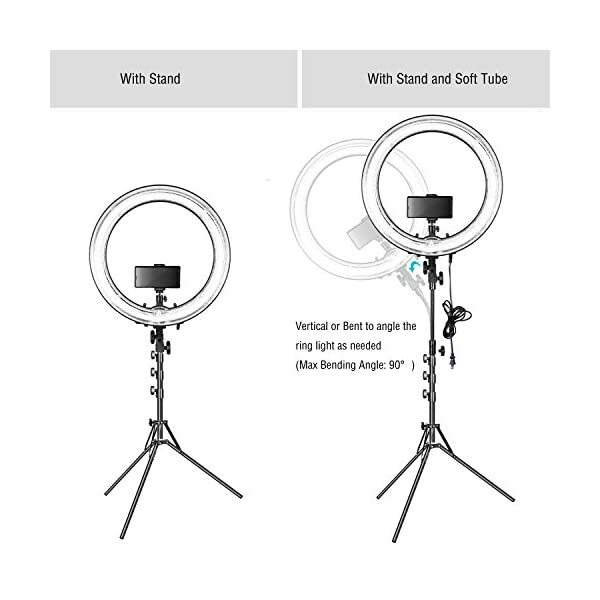 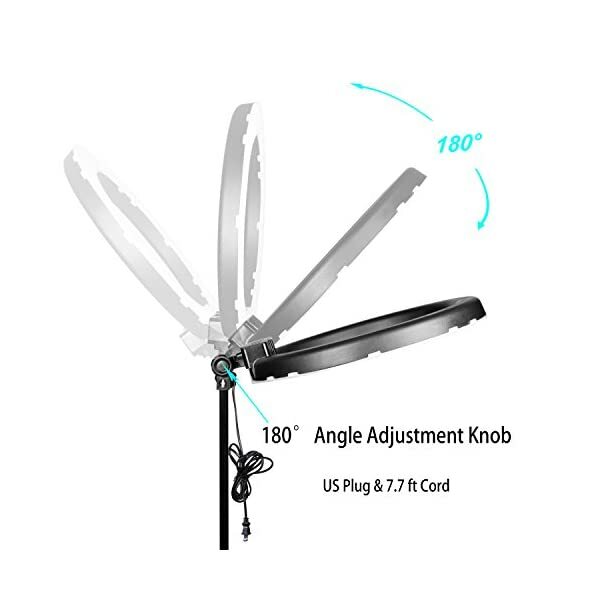 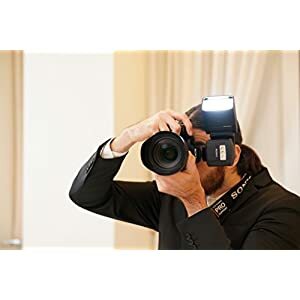 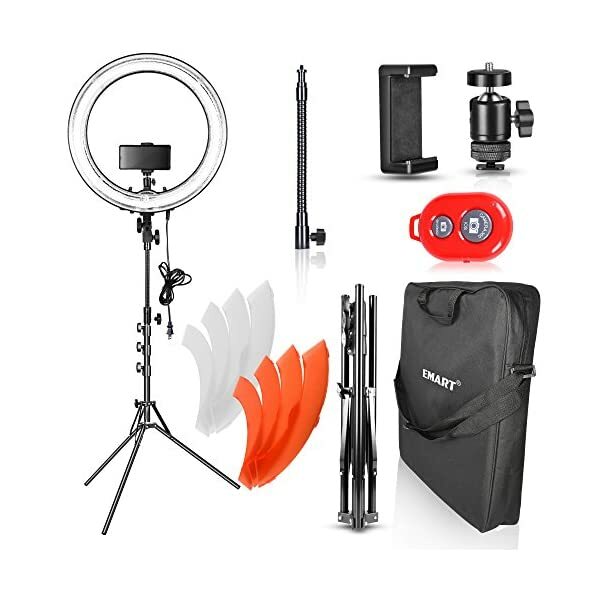 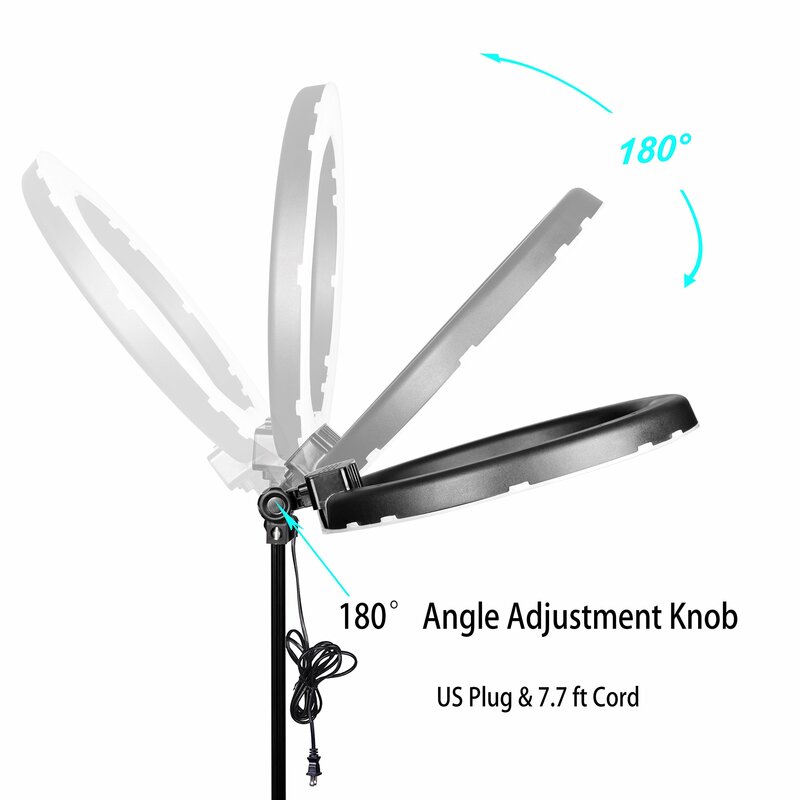 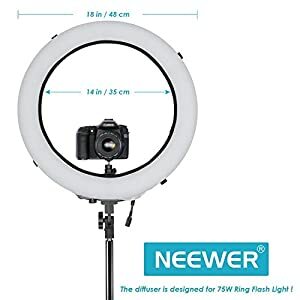 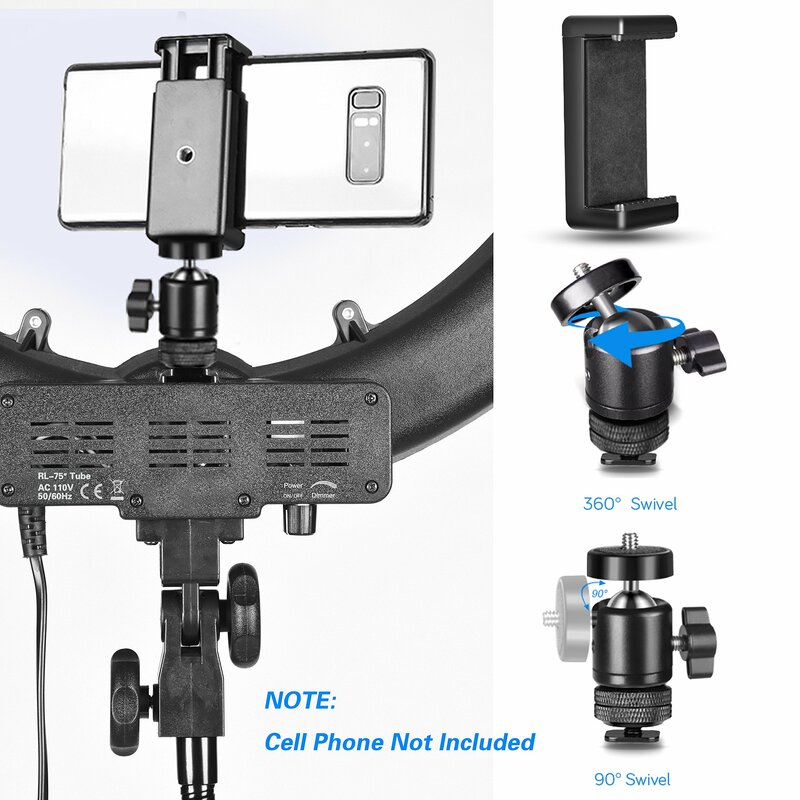 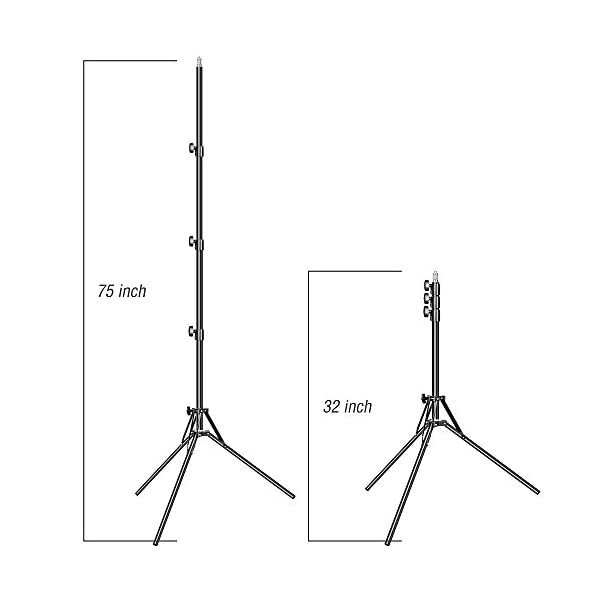 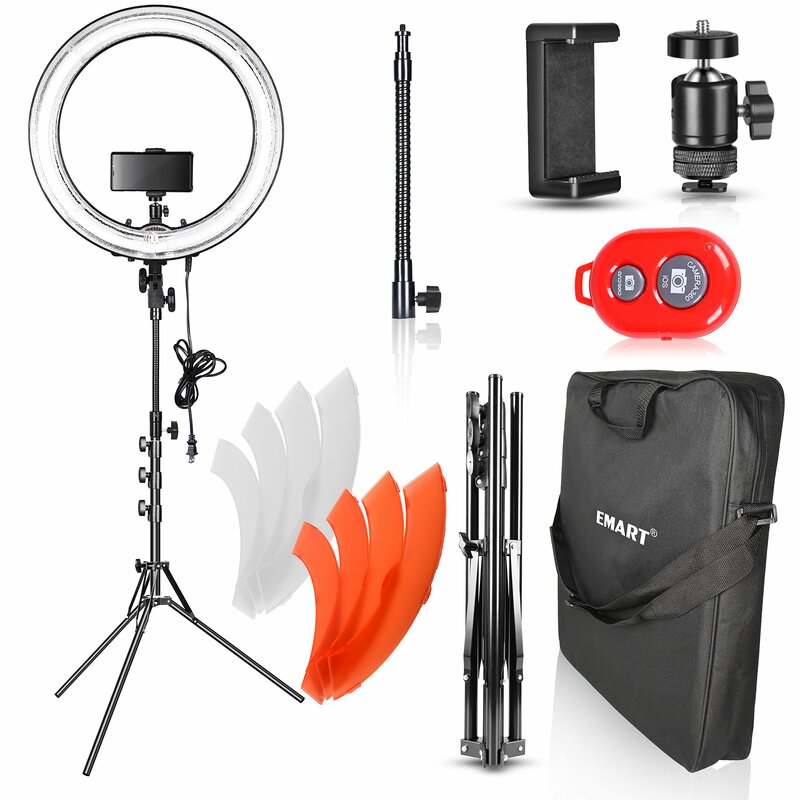 6.2ft Detachable & Reverse Folding Light Stand: height adjustable (Min 1.7ft – Max 6.2ft), made of 100% Aluminum, light weight & portable but sturdy & stable – not any wobbly at all when both attach the ring light and your camera. 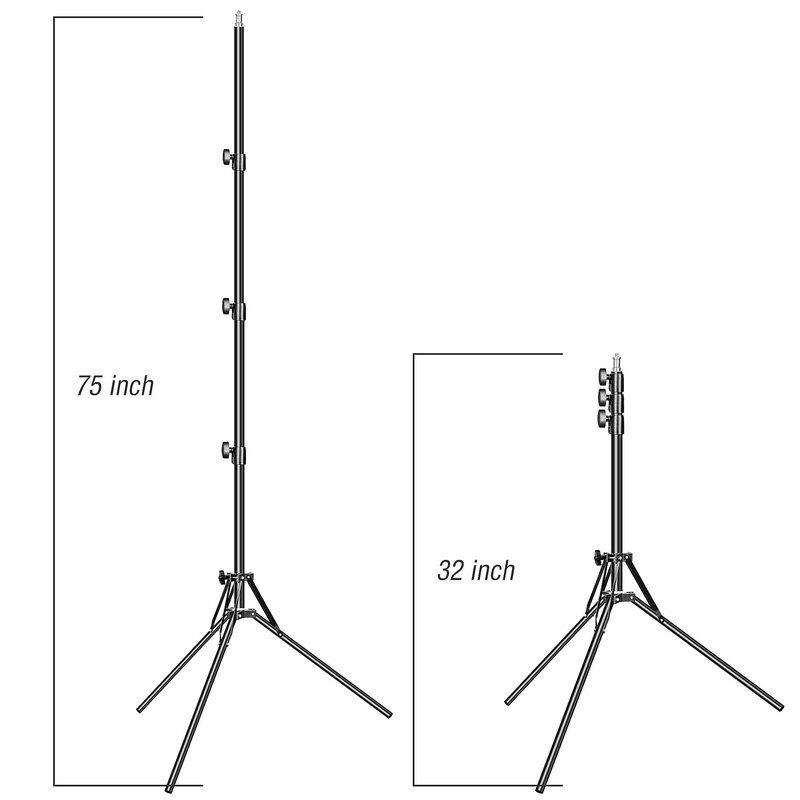 UNIQUE DESIGN – being able to take out the center pole to use as a boom pole by bottom screw thread. 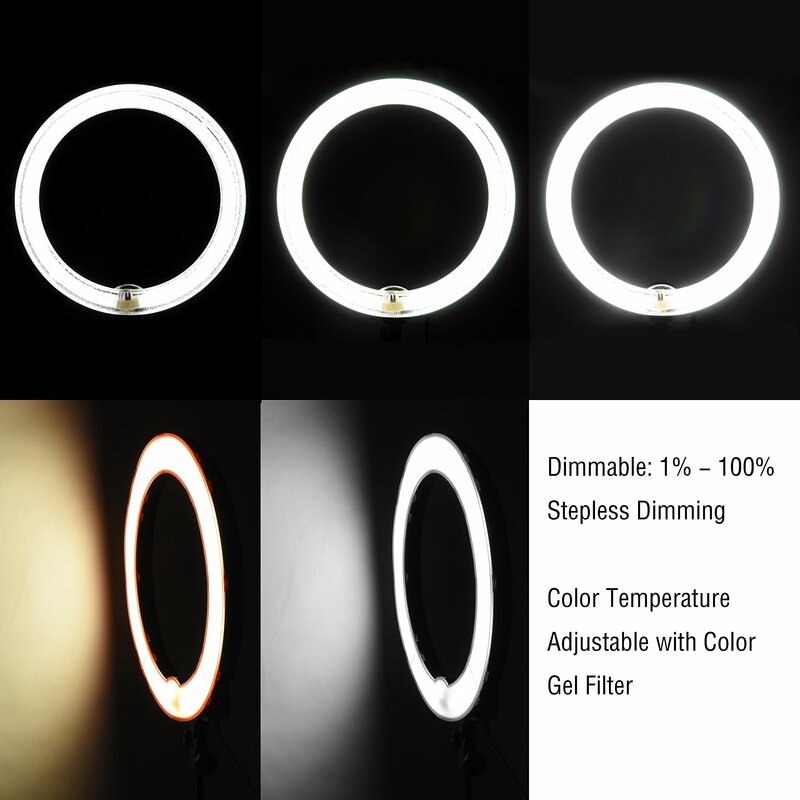 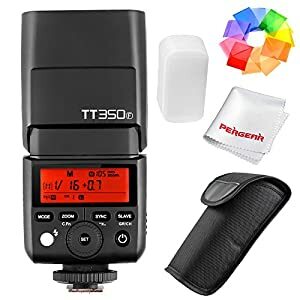 The Orange Color Gel Filter Set change the color temperature and are used more for bringing out more skin tones while the White help to soften and spread the light and mitigate some of the harshness and produce a nice even light.